Bristol just keeps on bringing it! 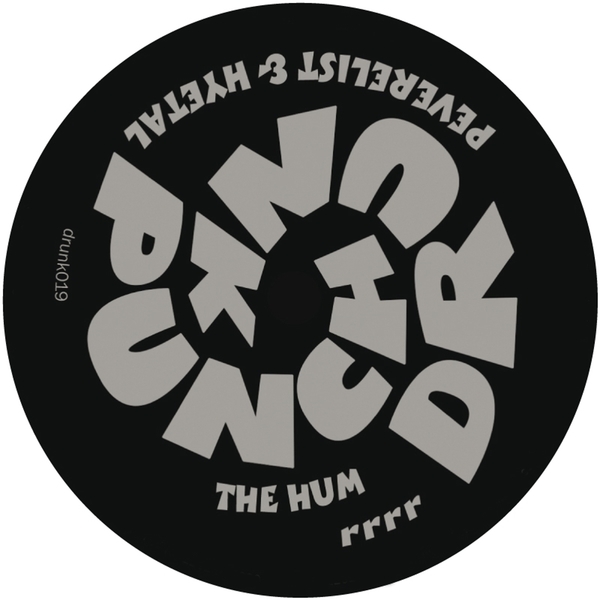 Punch Drunk drops two very special fusions from Peverelist and Hyetal, mixing fluid future junglism with heat-warped synthlines at 134bpm. 'The Hum' shakes out tribal-synced percussive demons under cover of wickedly dischordant, midnight blue synths and rambunctious subs, while 'rrrr' operates with more sparing, spiky drums and quaking low end carrying an emotive payload of spiraling melodic arpeggios. The two producers have consolidated their aesthetic differences achingly well, hence a big recommendation to all DJ and dancers!